Before the 1920s, when Alexander Fleming first discovered penicillin, western medicine had no effective treatment for infection. Something as simple as a scrape or cut could progress into a blood infection (sepsis), and result in death. Since Fleming’s discovery, and with further advances in antibiotic research, we’ve been able to make drugs that treat different types of bacteria. Lives all over the world have since been spared. In the process, information about natural remedies has been lost. Now, we are seeing a darker side to synthetic antibiotics. Overuse and improper use of antibiotics has led to bacterial resistance. The antibiotics we have relied on over the past century are becoming less effective against infections, or losing their potency all together. The extent of bacterial resistance is extreme. We now have “super bugs” which have grown resistant to all of our available antibiotics. Infections we have long been able to cure are now again life threatening. Science currently has little to offer in establishing plant remedies as effective medicines. The immersion of “super bugs” and our exhaustive use of antibiotics has generated interested in herbal medicine and other “alternative” therapies. 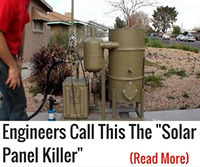 Much of the research being done targets the chemical constituents of plants. 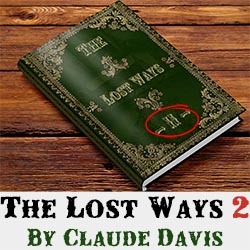 Less frequently is the whole plant or plant part (leaves, flowers, roots) studied. 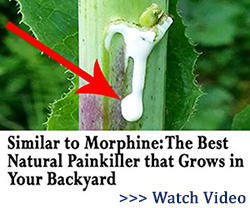 Likely, it is the whole plant, or plant part, that is most effective, and causes the fewest side effects. Let’s talk about some of these plants and other remedies. Goldenseal is a plant that is native to North America. 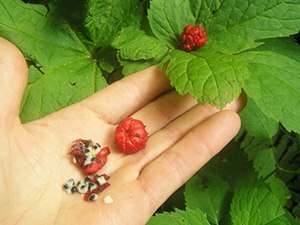 Over harvesting of the plant in the United States has reduced the availability of goldenseal. Attempts to replenish the bounty of goldenseal are being made in areas of the Blue Ridge Mountains. Goldenseal has traditionally been used to treat skin infections resulting from injuries such as cuts and scrapes. The most effective form is the extract of the leaf of the plant. The extract is applied topically to injured skin. Not only does the leaf extract help with skin and other soft tissue infections, it has also been demonstrated to be effective against some “super bugs.” Bacterial infections (such as MRSA – methicillin resistant Stapholococcus aureus) that we can no longer cure with antibiotics are showing responsiveness to goldenseal leaf extract. Taking goldenseal by mouth has not demonstrated anti-infection properties, but there is early research being done into use for non-infection conditions, including cancer. The garlic bulb that is common in cuisine also has medicinal value. The antibacterial components of garlic are activated when exposed to air. Crushing garlic bulbs works to accomplish this. 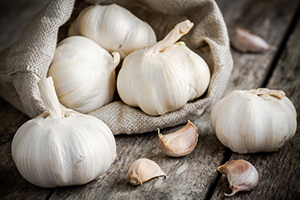 In the lab, or “in vitro,” garlic has shown to be effective against bacteria that typically respond to penicillin, such as non-MRSA staph infections, the cause of many infections in people. Garlic has not been shown to be effective against “super bugs,” like MRSA, but the research is limited. Garlic has also been found to be effective in treating Candida species fungal infections, including those infections which are resistant to commonly used anti-fungal medications. Garlic has been found to be more effective against many Candida infections than other plants – including neem, plants in the borage family, Holy basil and fenugreek. 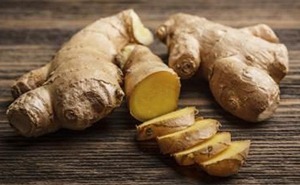 Use boiled ginger root to treat coughs, colds, asthma and other respiratory infections – including pneumonia. Storing ginger with the peel still on will help it keep longer. By putting it in a plastic bag, removing as much air from the bag as possible and keeping it in a cool place, you with extend its shelf life for several weeks. 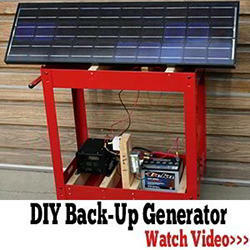 It can be frozen for longer periods of storage. 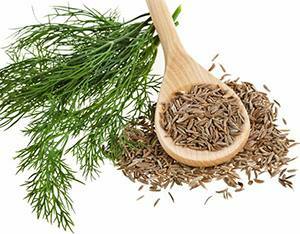 Herbs and other remedies with antimicrobial properties – being effective against bacteria, fungi and viruses – can be used to prevent illness, which is always preferable to having to have to treat illness. 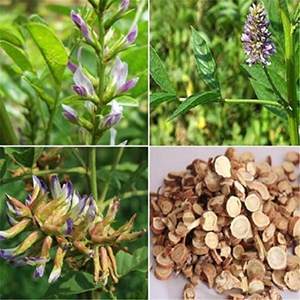 Indigo root extract has been used in areas of the world to treat typhoid fever. We don’t see cases of typhoid fever often in the United States. However, we do see over one million cases of salmonella related food poisoning each year in the United States. What’s the connection between typhoid fever and salmonella? The bacteria that causes typhoid fever is similar in many ways to the bacteria that causes salmonella. Potentially, indigo root extract could help prevent food poisoning from salmonella when used in the kitchen as part of cleaning solutions. 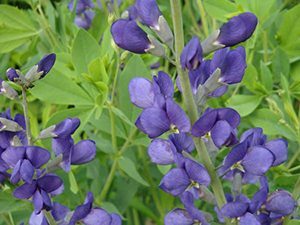 Baptisia species can be found along the East Coast of the United States from Maine to Louisiana. Licorice root has been found to have anti-inflammatory effects. It works especially well in the respiratory system. Licorice is particularly helpful in treating allergic and asthmatic conditions that cause irritation in the airway. Inflammation is part of the body’s normal response to most infections. While licorice may or may not have use as an antibiotic, it can be used in combination with antibiotic remedies to ease symptoms and otherwise promote recovery from respiratory illnesses. Pregnant women should avoid licorice, as it can be dangerous in pregnancy. Excessive use of licorice can raise blood pressure. Consuming large amounts of licorice can drop the body’s levels of potassium, which can cause abnormal heart rhythms. Cinnamon bark can be extracted in alcohol. We have the best information for its effectiveness for the use in the treatment of mouth and gum conditions. 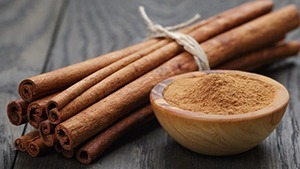 Cinnamon extract can be used in toothpastes and mouthwashes to treat gingivitis, tongue inflammation, irritation and infections in the mouth, and oral ulcers. Cinnamon oil is very concentrated. Unlike cinnamon bark extracted in alcohol, it is too strong to be used without being diluted. It should be diluted to a concentration of 2% before being used. This is equal to approximately one teaspoon of cinnamon oil per cup of water. This formulation will make an effective, non-alcoholic mouthwash. Being an antimicrobial, cinnamon can be used in foods as a preservative. Preventing the growth of bacteria, it can extend the shelf life of foods. 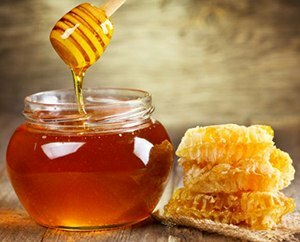 Honey is a magical, versatile remedy with antibacterial properties. When used directly on skin wounds, raw honey will help to prevent infection and promote healing. Honey is especially useful on any type of burn. Not only will it protect the burn from infection, but the enzymes in honey will help to remove dead skin cells (“debridement”) and speed burn recovery. Most store-bought honey has been pasteurized, which destroys the antibacterial and enzymatic properties of honey. Raw honey must be used for medicinal purposes. Raw honey may contain botulism spores, which can cause botulism infection in children under the age of one. Honey works magic on most wounds, but some wounds heal more slowly. Diabetic wounds and pressure ulcers are skin wounds that are difficult to treat and if untreated, can lead to gangrene and systemic infection (sepsis). 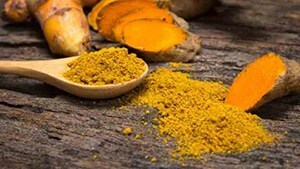 Turmeric has been found to be effective in treating this type of persistent wound. Turmeric is anti-inflammatory, antimicrobial and has chemical constituents that promote healing and reduce scarring. To be most effective, turmeric should be used in an ointment. During times of exhaustion or stress, our bodies are less efficient at resisting and recovering from infection. 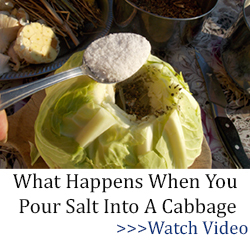 This leaves us more susceptible to infection. Elderberry, whether or not it has antibiotic properties, helps to stabilize overall health and strengthen the immune system. The healthier we are, the better we are able to fight infection. 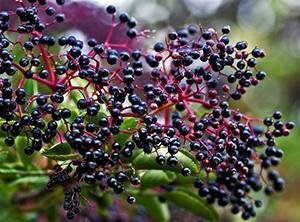 Elderberry has been studied to prevent respiratory infections that are common among airplane travelers. When used for the 10 days prior to travel, elderberry was found to reduce cold duration by approximately two days, and also to reduce the severity of cold symptoms. Less research has been done on the prophylactic use of elderberry to reduce the symptom severity and the duration of the common cold, but it is certainly plausible. 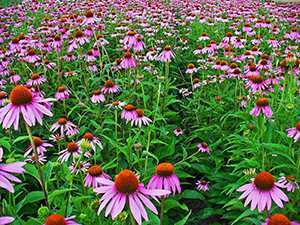 Preparations of Echinacea purpura have been found to be at least as effective as pharmacological anti-viral drugs that are used to treat the flu. Caused by a virus, influenza (the flu) causes millions of people to get sick in the United States every year. Hundreds of thousands of people end up in the hospital for care, and thousands of people die every year from the flu. The use of Echinacea purpura to treat the flu is associated with fewer complications and fewer adverse effects than anti-viral medications used to treat the flu. Like elderberry, we believe there is potential for Echinacea purpura to be used as a preventative for respiratory infections and possibly more. The beautiful purple coneflower can be found in the central to southeastern parts of the United States. There are many species of Echinacea and they can look almost indistinguishable from one another. The only species with potential for medicinal use are E. purpura, E. augustifolia, and E. pallida. Other species or subspecies of Echinacea may or may not have medicinal value. 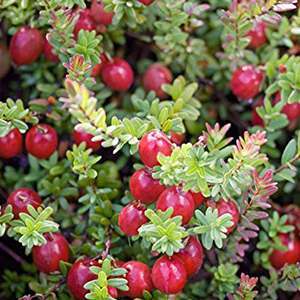 Cranberry fruit is used for the prevention of urinary tract infections (UTIs). It works for this purpose because of its anti-inflammatory properties. Also, it prevents bacteria from sticking to the wall of the bladder. This makes it more likely that bacteria will wash out in urine instead of staying in the bladder. The above plants grow commonly throughout many parts of the world, are easy to recognize and easy to prepare as medicinal remedies. They hold promise in cases that fail to respond to western antibiotics. The growing body of scientific research may help us recover the information lost when we started using plants less and less and synthetic antibiotics more and more. Stay tuned. Do NOT bother! you are facing ruining your life and losing everything you own. If you notice almost all medicinal herbs that are sold are either from companies outside the US and listed as food supplements or from companies that predate the FDA. those that have attempted to do business in the last 50 years or so have been shut down and the owners bankrupted, and their lives ruined. It would depend on how you want to market them. Yes small herbal manufacturers have had a difficult time through out the years, however it can be done. 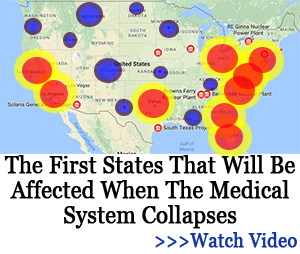 The most important thing to remember is to not make any medical claims. If you market them as tea, that would probably be the easiest. In my state we have quite a few small herb companies that just sell their stuff locally with no issue. Do some research online about herbal product businesses. I have several health issues most recently been diagnosed with auto immune disease, Sjogren, and have lost 2 teeth and have had many cavities due to this disease, lack of saliva. I’ve been Rx Cevimeline HCL 30 mg 3 times daily and will see ENT Wed. for follow up. This Rx seems to help… Another doctor wants to due biopsy on salivary gland…I just can’t do this…do you have an alternative suggestion? Helen, when you find out let me know. Don’t do the biopsy. Just a way to irritate a bad situation already. Money maker for doc. Sorry, that is what I have seen. How is removing part of a gland, that you need. going to help you? If you already have a definitive diagnoses of Sjogren’s, then a lip biopsy is unnecessary. That is how Sjogren’s used to be determined. I’m not sure what sort of tests they use today. I, too, have Sjogren’s. I was finally diagnosed in 1984 after 17 years of unexplained illnesses. While I have dry mouth, dry eyes are my biggest nemesis. I wish there was some way to contact you other than this posting. Any ideas? I could then tell you what has worked for me over the years that might be helpful to you. Helen, I’ve asked the powers that be on this site to send you my email. Don’t know if they will. That will make it easier to discuss the Sjogren’s. I have a friend who is a nurse. One day she came home from work with a infection on her finger that would not go away. As a nurse she had tried a variety of topical cures. There was now a red stripe headed up her arm indicating blood poisoning and she was panicked. I made a poultice of dried plantain leaves and comfrey leaves, both of which I grow in my yard. It was mixed up with that cheap triple antibiotic from Walmart and fixed in place with a Band-Aid. In three days she asked for more leaves because she had run out. The infection had come to a head and the red stripe up her arm had disappeared. She had the infection tested. It was MERSA 3+ (labs rate MERSA from 1 to 4). In a week she could barely tell there was anything wrong in the finger. Plantain has the property of drawing out infections and some venoms such as rattlesnake. Comfrey used topically (also called “knit-bone”) is a healing herb. Never underestimate the power of herbs to cure the incurable. Helen there is no “salivary gland”. The 3 major salivary glands are the the parotid, submandibular, and sublingual glands. You would do well to ask your doctor or perhaps a different Doc some serious questions, especially on what he expects to find, what can be done about what he may and/or expects to find, and how much of whichever gland or glands you will be left with after a biopsy. But with no disrespect intended to Older Prepper, unless he has been thru medical school and worked in the field, your doctor probably knows a little more about this than some random person on the internet, who has no medical certification and has never even looked in your mouth. Good luck, Helen. Since most people understand salivary gland, that is what doctors will say. My Rheumatologist even called it a salivary gland back in ’84 when he was sending me for my biopsy. It may not be the right term but it gets the point across. Some of those random persons on the internet know a thing or two because of experience and years of knowledge. I agree there are some who are ‘hurry come ups’ but there are goods ones. 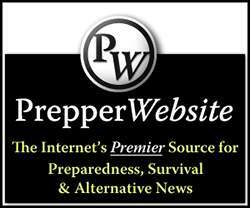 There is enough out there about the old Prepper to show his knowledge. “Now, we are seeing a darker side to synthetic antibiotics.” OH! You betcha! Here is a great place to start to learn about the true dangers of flouroquinolones… – because of the links after the article for reference. I went to the FDA site, and read up on it. I really take issue with these “Before ‘this there was no that’ ” type posts. What does the author think Sulfa was? It most definitely predated Penicillin and was still used well beyond the Vietnam war as it was applied to the combat dressings issued to our troops since there was no issue with allergies, and infections were guaranteed in the jungle and rice paddies. The sooner these authors stop acting like the MSM and start doing some fact checking, the better off we all will be. Actually, before sulfa was an antibiotic called phenol. It was the main antibiotic usedmin WWI.There are several plant sources that are high in phenol. Wintergreen is one. But when it come to herbal anti biotic I like to go with the one that have been used for centuries. Thyme, oregano, basil. Our ancestors used these “spices”, because they found that when they seasoned their meat with them they did not get sick. One study on Thyme found that it was able to kill bacteria 10 times faster and at a lower concentration than Phenol. Other plant oils are also very effective. Like orange or grapefruit oil which has been recognized as anti bacterial and microbial by FDA in cleaners and sanitizers. But they are safe for medicinal use as well. Does anyone know where you can take classes (probably online to learn about herbal remedies ? This is the website for the American Herbalist Guild. They have a school directory. It is an excellent resource. https://www.americanherbalistsguild.com/school-profiles. You can also learn a lot from good herb books. There is an online subscription service called Herb Mentor that is also a great resource and you can learn tons from it. Add me to your email. Great information. seriously looking at an herbal/medicinal garden. I am Helen and you posted my problem (Sjogren) and I just read reply, thank you…I’m not alone…I hope to continue receiving info. I would add, that the most used portion of Goldenseal is the root, that is where is the berberine is located (which is what gives the root the yellow color). Goldenseal has been decimated in the wild due to over harvesting. Either buy organic cultivated or wild simulated. However Oregon grape root Mahonia spp. contain berberine in their root as well, just like goldenseal and can be used instead and it is not endangered. The way elderberry is believed to work is by stimulating the cytokines which act as messengers to the immune system to help modulate it. There is also research that suggests that the constituents interfere with virus replication and strengthen the cell walls to inhibit viral penetration. Chaga mushroom should be added to the list, it has been researched in depth in Russia and Europe for it’s anti-viral and anti-bacterial properties. Usnea should also be added to the list for its demonstrated properties against MRSA and gram-positive bacteria. I just want to tell you about d-mannose which I purchase from Amazon.com for bladder infections. It has changed my life as I would get frequent bladder infections and was treated with anti-biotics. Finally they no longer seemed to work and d-mannose arrived as on my horizon! It is just fabulous and I must take it at least 3 times a day, and more often if I am infected by e-coli! But it works! I just can’t say enough about it! No more anti-biotics for me!